It gets a bit more eyebrow-raising when the filing mentions “an electric motor that changes fit of the headband relative to a head of the user by constricting or expanding a length of the headband.” Anyone who’s tried an AV headset knows that adjusting it so it rides comfortably can be a hassle; having a motor take care of the job would be much more convenient. The second patent application Apple requested covers “Thermal Regulation for Head-Mounted Display.” It describes a method to use a “fan for causing air to flow through the component chamber.” More fans and vents are included. 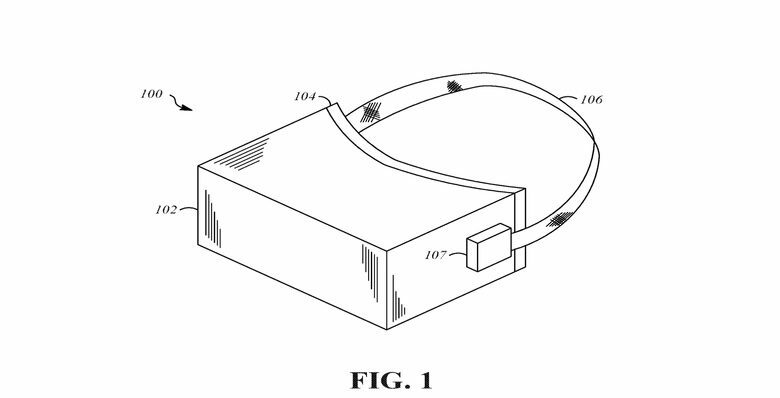 While a motorized headband is kind of nifty, what makes these patent applications significant is that they absolutely confirm Apple was still hard at work on a head-mounted display on August 31, 2018 when both filings were made to the U.S. Patent and Trademark Office. It’s been reported in the past that Apple had over 100 engineers exploring augmented reality (AR) headsets. Clearly, this research is continuing. This headset would be just part of the company’s AR efforts. Its ARKit offers developers the ability to create AR applications. Version 2.0 of this tool, which debuted in iOS 12, offers shared experiences, a snazzy way of saying that two people playing the same AR game can look at the same virtual objects. When Apple’s research into head-mounted displays will turn into a shipping product is unknown. And, realistically, it might never happen. Despite all the time and money Apple has obviously poured into this effort, it could still drop the whole idea. Not every patent turns into a product.